Our adorable French Pink Poodle Tea Party Invitations make the perfect invitation for your special party. 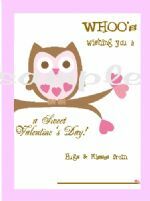 All little girls love Tea Parties... A sample of your invtitation will be emailed prior to printing and you may change wording on the picture shown. 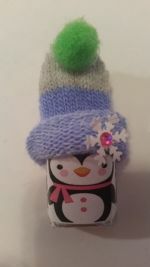 Simply email your personalization for your tea party invitations in the box below. Cards can also be used for an adult party as well!! 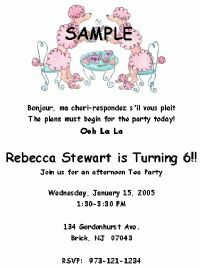 Enter Personalization for Tea Party Invitations Here!